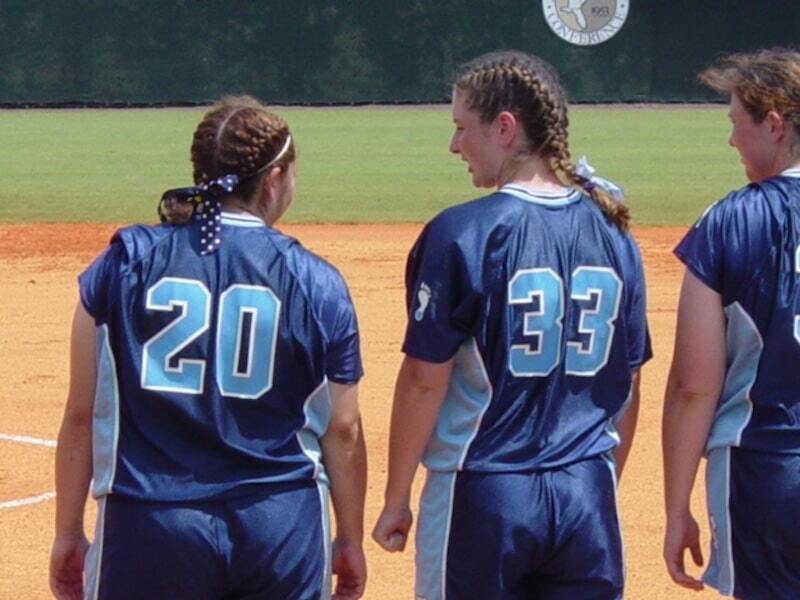 Hands down the most important thing about playing in the Firecracker organization is the opportunity to fill your metaphorical toolbelt for life. The college scholarship is huge but it won’t matter if you don’t have the tools to navigate it. The National Championships are hard-earned and well-deserved, but, your future employer won’t care about the trophy though may be interested in the tools that you got to that final game. So, my advice from one Firecracker to another, pay attention, and fill your tool belt, your 30 something self will thank you. 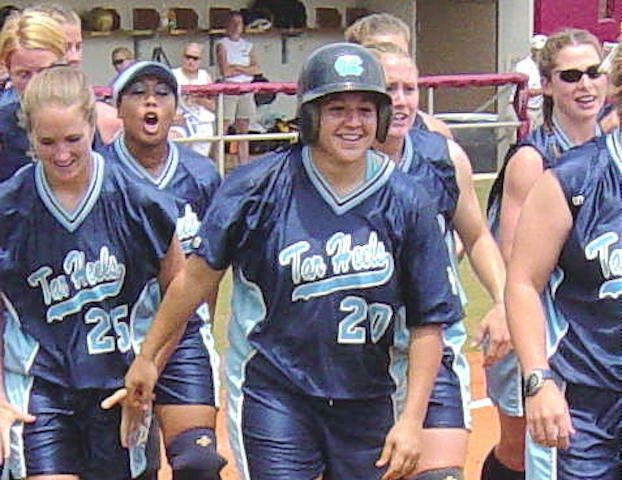 I was 15 years old, my 16 and under softball team had just broken up after a below expectation performance at ASA Nationals in Midland Texas. Lucky for me the Firecrackers with Tony Rico and Gary Wardein were undergoing a post-nationals transition as well. I showed up at Los Amigos High School in the fall of 1995 for a try-out; a week later I was officially a Firecracker on the organization’s first 18-Gold Firecracker team. Four weeks later I tore my MCL playing high school volleyball and was out for 6 months. I remember feeling so anxious about what would happen next, I thought the Firecrackers would reasonably move on to another outfield/catcher/utility player. I felt sad about having to find another team, recognizing all the potential that the Firecrackers offered. But, I was wrong to worry. The Firecrackers did not hesitate; they encouraged me to get healthy and stronger for the spring. The Firecrackers provided me with my first tool, in my otherwise standard and empty 15-year-old tool belt, they gave me loyalty. Within the first few months of being a Firecracker, they showed me that if I was willing to put in the work and buy into the Firecracker mentality, they would stick by me. I was all in. To this day my mother still repeats Tony Rico’s words “poise and composure, got to have poise and composure Kelly.” Tony coached us on poise and composure at every single practice and every game, over and over we talked about poise and composure. 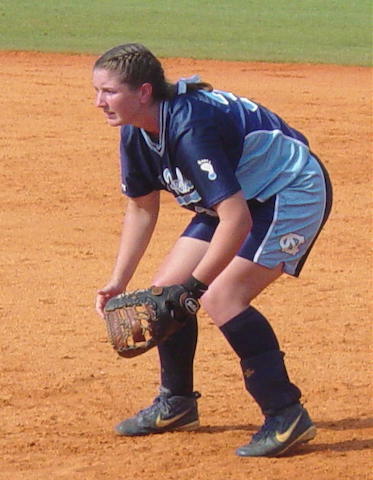 Poise and composure translates to the softball field as hustle on and off the field no matter how successful or detrimental the inning was, keeping your head high when you lose, and staying within yourself when dominating the competition. Every player needs poise and composure because it is this tool in combination with hard work that will pull you out of a slump, get you back on track when you keep making the same defensive error. Poise and composure is the tool that helps you appear in control, even though you may not be. As an attorney, a mother, and a wife I reach for my poise and composure tool often. It’s the tool that reminds you to put aside the emotions and deal with the issues. It is the tool that builds your professional reputation as reasonable and one who uses common sense as opposed to emotional reaction. Two outs, winning run on second, tying run on third, I am up to bat, against a dominating pitcher (who was better than I was) and the emotions were high against this rival team. Tony Rico would yell from the coaches box to: “battle”, “get in the box and battle”, “hack at the pitches”, and “stay alive.” I battled, it wasn’t pretty, I some how got the bat around on a flaming inside pitch, the ball dribbled off the handle of the bat, and dropped in behind third base where the grass meets the dirt about three inches fair. The baserunners were running with two outs and the Firecrackers won the emotional game. Being in this situation as a 16-year-old, regardless of the result, teaches grit and how to be fearless. I think about this tool when I start a jury trial. I feel the emotions and tell myself to be fearless and dig in. I pulled this tool out when I decided to start my own business thinking if I go for it and battle who knows what could happen. This tool is a special one because those high stress scenarios are hard to re-create for the average teenager you certainly don’t develop this tool by sitting on the couch and not putting yourself out there. But, every time you are in the thick of it, your grit-fearless-battle tool gets more refined and trust me, you will use it in your later life. we all got along. Then, when the team loves each other, trusts each other, a different level of ease, enjoyment, and success can happen. Fact is, you and your parents commit so much time to the Firecrackers, the practices, games, tournaments that to love the people you are around makes it all worth it, makes the lifetime memories. As an attorney I work on teams and with prosecutors all the time. I am not the smartest lawyer in the room but I get along and pride myself on playing well with others. This tool can only be developed by playing on teams and making it work. For me, preparation is this simple, in travel ball, if I didn’t do my tee-work, throw the ball around, and take some grounders the week before the game I felt less confident and had doubts about my abilities and decisions. When I feel less confident I am more likely to make mistakes. But, if I put the work in, I felt confident and was in a better position to succeed and even if I didn’t succeed, I did not doubt myself for the next time because I was feeling prepared. In college, practice is forced upon your schedule. So you are automatically putting the time in, but preparation got more complicated, it wasn’t about going through the motions it was about engaging and making the most of every swing and every repetition. That focus is exhausting but, nobody said this was going to be easy. It is the same way for me when I go to court, if I am prepared for an argument I am confident and comfortable with the resolution. But, if I am unprepared, I am less confident and if the resolution does not go my way I wonder if it would have been different with more preparation. Start with putting the time in. Then, advance to making that time effective and focused. Who are you? Be somebody. I was the kind of player that was good, not great, I was steady, always started, had respectable stats, and in the top of the lineup. I wanted to hit the ball up the middle like Tony Gwynn from the Padres, not over the fence. I wasn’t motivated by awards or recognition. I remember when my college coach called to tell me I made third team All-American my sophomore year, I think my surprised 19 year old self said “that’s cool”, declined going to the ceremony, and went back to eating dinner casually with my parents. But, I was also an over thinker and could put myself in defensive slumps, creating unnecessary tension. 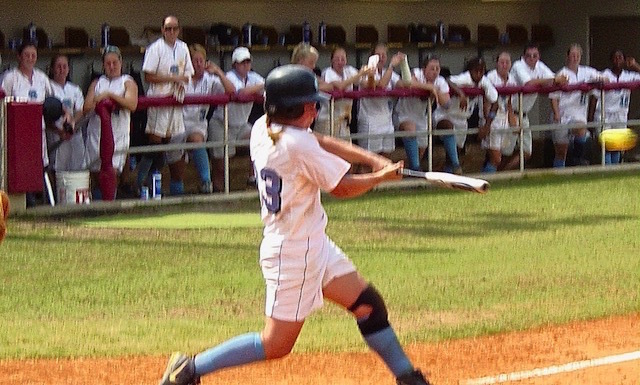 I liked hitting because I knew I was only supposed to hit the ball 3 out of 10 times but with defense, perfection was expected and that didn’t always sit well with me. I played outfield and liked it out there, the big throws, the long runs. I also caught and sometimes, depending on where I was mentally, didn’t like the involvement in every play. 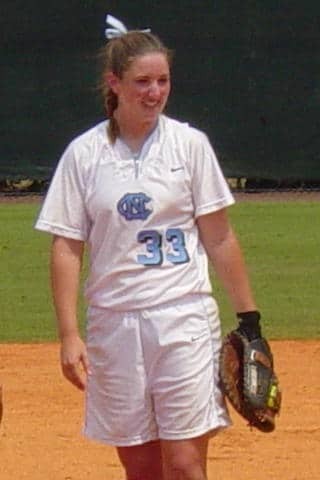 In college in addition to outfield and catcher, I played third base and first base; sometimes the quick reaction was well suited for me other times I mentally made myself stiff and slow reacting. Knowing who you are is knowing weaknesses just as much as strengths. What do you as a player need to excel? As a team member I was supportive. I wanted everyone to do well. I didn’t care who was the game hero was. Some could say I got over losses quicker than my teammates. I remember learning early that caring doesn’t mean crying (perhaps my own interpretation of poise and composure). In college I developed into more of a leader, named captain my sophomore, junior and senior year. I loved this responsibility because I felt I could make a major contribution to the mentality and atmosphere of the team and I wanted things to be fun and high energy. I never defined myself as a softball player, it was just something I did that I was good at; more importantly, it was an avenue that, through the Firecrackers, allowed me to build my toolbelt. Knowing the type of player you are and want to be, will contribute directly to knowing who you are as a mother, wife, and a professional. I remember a judge mentor advising me not to copy other attorneys’ style, be you, and your strategic decisions will come naturally. This tool became necessary as I started out on my recruiting trips without my parents and without my coaches to remind constantly of manners, poise and composure. On one hand, you are 17-years-old, basically a young puppy free for the weekend. But, you are also a representative of your team. Don’t forget in the same way you are getting a feel for the school they are also getting a feel for you. Then, comes the time to make the decision of which school you pick. This is a big decision for any junior in high school. I chose University of North Carolina because it was the best academic school I visited and that was most important to me for the big picture. I loved the culture of the school and the strength of the athletic department. I could tell my coach meant what she said and that she would care for me as a person and a player. The program was not crazy competitive, there was room to grow and contribute immediately. It was a good fit. Then, college ball actually starts: the weights, conditioning, practices, academics and travel, how are you going to be? Entitled? Hard-working? A baby? A leader? A team player? An excuse maker? A quitter? This is where you hope you have the tools for the job; or, at least, the ability to develop the tools. My toolbelt is full thanks to my experiences with the Firecrackers, but, it is not complete, my toolbelt continues to grow as life presents new projects. Our mission is to provide a level of training to our players that ensures the highest level of social and athletic development and growth. The Firecrackers Gear web store is now open. You can get all of your favorite Firecracker apparel and accessories online. Check it out! © 2016 Firecrackers Softball, Inc. All rights reserved.